Images of crime in the US reveal an increase of illegal activity from business executives. According to Simpson (2002) business crime is not a new social problem. illicit drugs and violence, for example, have been an issue of concern for business leaders and policymakers for a while now. Historically, criminals involved with drugs and violence were believed to have been contained within certain populations of criminal ethnic groups and immigrants. In other words, society was under the impression that crime was only confined to the constitutionally inferior and morally lax (Simpson, 2002). However, with the expansion of the newly emerging capitalist society and its large institutions, the environment was becoming fertile for corporate criminals. Corporate crime is considered a form of white collar crime that is committed by persons of respectability and high social status. Some people refer to it as a crime of the rich and affluent. Cavender and Cullen (2006) postulate that it can include such infractions as (a) crimes by politicians; (b) crimes by professionals like accountants, physicians, and attorneys; (c) cheating on taxes; (d) theft or embezzlement; and (e) crimes committed by corporate organizations themselves (Cavender & Cullen, 2006). The topic of this discussion asks us to consider which presents the greatest threat to civil society: a corporation that commits crimes or a person who commits crimes that harm businesses. On the one hand, a corporation that commits a crime can create a wide range of contamination that spans across the globe. Take for example, a multinational corporation (MNC) that markets a defective product, or worse a deadly one (like the tobacco companies that hid the harmful effects of their products). In other words, when a corporation commits a crime, millions of people may be at risk on a global level. A crime that is committed by an individual, however, who causes harm to a business, such as when a physician defrauds the government by billing for false medical payments, will have different consequences that influences a smaller region. For example, it could result with the physician’s termination and loss of that practitioner’s medical license or worst case scenario the dissolution of the medical facility and the employees. So in this instance, just the physician or facility could be affected because it does not have the same influence on a global level. However, in the long run, it may affect the policies that physicians follow if reforms are introduced to prevent physicians from further engaging in this form of criminal conduct. Individuals that engage in criminal activity, even though they believe they outsmarted the system and got away with a criminal act, are always focused on not getting caught. It takes a considerable amount of energy to maintain an illusion, and as soon as they become relaxed, they get sloppy and eventually the truth surfaces. Seaquist (2012) defines criminal law as the branch of law that is focused on punishing illegal acts that are deemed harmful to others and society at large (Seaquist, 2012). In some situations, it can be difficult to discern which form of crime presents more of a civil threat because there are many facets to consider. For example, as I pointed out, a corporation, especially an MNC, has a great influence on a global scale. Take a fast food franchise for instance, many of these corporations promote unhealthy food ingredients that have been scientifically proven to contribute to life threatening diseases like obesity, diabetes, arteriosclerosis and other debilitating illnesses that affect millions worldwide. These companies sell inferior products for huge profit and use clever marketing strategies to make it appear ethical. However, with advances in communication technology an individual can now also make an impact on global scale that can bring harm to a business or institution. Take for example political figures with low moral values like those that have been recently exposed in the headlines. Public figures like them pose a threat to society and in fact, can create damage on many levels including: (a) shame and humiliation that extends beyond just their families, (b) ridicule to the government institution and the office they represent, (c) lowering the bar for standards in ethics and moral values, and (d) making a mockery of the US political system. In conclusion, current events and research reveal that with the expansion of the global market both a corporation and an individual can create harm and cause considerable damage on a worldwide scale because of the media and advances in technology and communication. It’s a whole new world that is taking shape. The moral is, those who embrace an ethical culture are the ones who will help lead society to a better future. Cavender, G., & Cullen, F. (2006). Corporate crime under attack (2nd ed.). Cincinnati, OH: Anderson Publishing. Simpson, S. (2002). Corporate crime, law, and social control. New York, NY: Cambridge University Press. Thank you for your feedback! We always love to hear from our audience and happy you find value from our research work! Ye, I appreciate his very informative article. 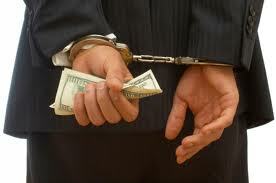 I was enlightened thoroughly on the subject of white-collar crime, and now feel a better understanding of the subject. However, I feel a little perturbed from your use of the Raised Fist, which has undeniable traces in Communist movements. I feel upset because there were nearly 100,000,000 people killed by the Communist ideology, and I would appreciate it if this article was removed, or this image was replaced. Thank you for your time and consideration. Thank you for taking the time to provide your feedback. I am so sorry that the image offended you and brought back memories of pain. I completely understand as I was raised in a culture that taught us when someone raised their hand at you showing you an open palm meant you were being “cursed.” However, what I later discovered is that I have the strength and personal power to choose what offends me and what doesn’t. Although that symbol had a negative affect on you for various reasons, it was certainly not used in that context to support communistic movements in this article. What I learned from the many years of surviving hardship, domestic violence and abuse, is that our inner strength and resolve to maintain a positive outlook, that can help us rethink and revisit something that tormented us in the past and say, “that is no longer true … I am no longer that person and I create my own reality now.” Once again I apologize that the image offended you, but hope that you can look at that pain and find a beautiful way to heal it … so that symbols that once meant something dark, no longer have any power over you. Sending you warmth and positive energy!